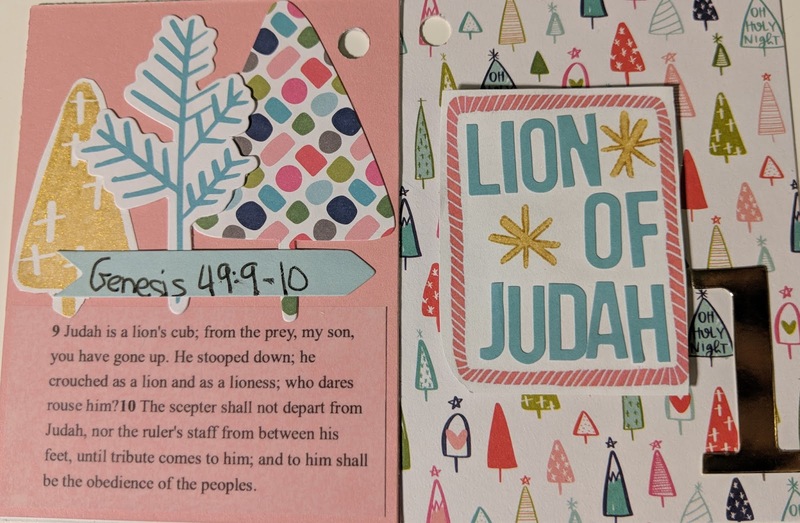 Today I'm sharing first my Advent day (December Daily Day 1 is here) I chose the order of names by chronological order of verses. 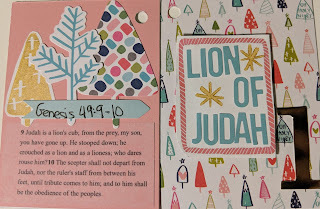 So first up we have Lion of Judah Genesis 49:9-10. I printed out the ESV verses and attached them on the left with some trees. and the name on the right. I'm keeping it simple and using the time to reflect and enjoy the ease of the plan with the busy of the season.